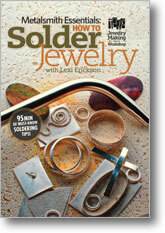 Master the fundamental skill of soldering with this collection including tools, tips, and more! 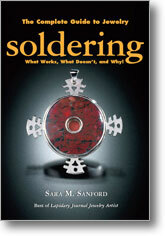 Soldering is a fundamental skill for every metalsmith to learn. 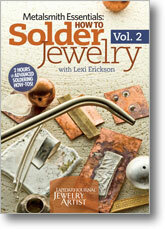 It allows you to stack elements together, connect parts, and so much more in your jewelry designs. If you're on the hunt for technique information, this collection has it all! 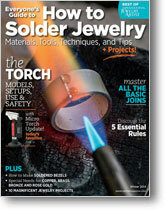 Learn how to sweat, pick, and direct solder, plus techniques for torch handling, tool set-up, and so much more from the industry leaders. Compiling nearly 4 hours of video instruction and 150+ pages of soldering information, this combo pack is the ultimate soldering resource bundle for growing your skills. 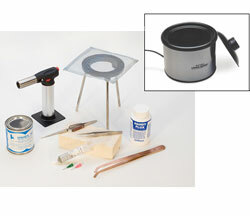 Plus, get fundamental materials for soldering including a soldering brick, flux, pickle pot, and more with the included soldering starter pack. HURRY! Only 100 kits are available!